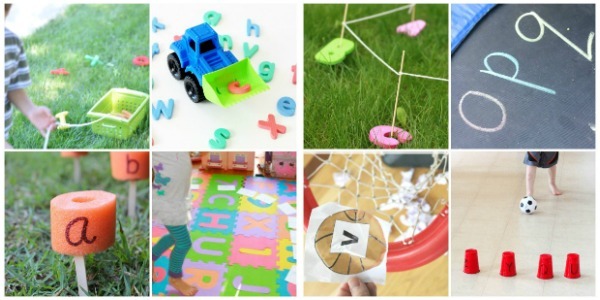 Preschoolers spend a lot of time engaging in pretend play, and they learn a lot while doing so. Baking is a common pretend play activity in our house. 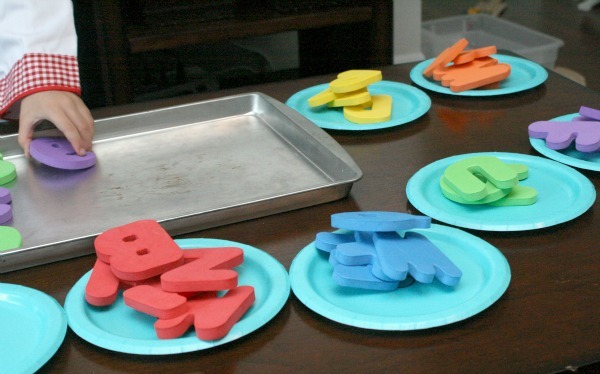 Recently I pulled out our foam ABCs and we used them to do some pretend baking. Tinker loved it! 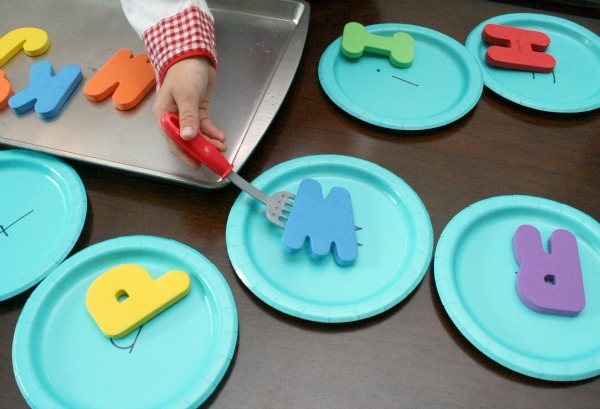 To set up your own ABC cookie pretend play station, you’ll need small paper plates labeled with the lowercase letters. 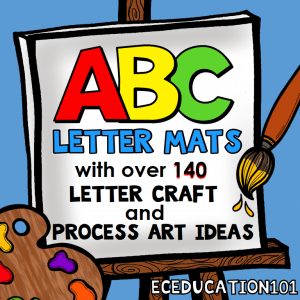 Place foam alphabet letters (or any similar ABC manipulatives you already have on hand) on a baking sheet. Grab a spatula and any other accessories you’re little ones like to use for baking. If you have a chef costume or apron, put it on to add to the fun. 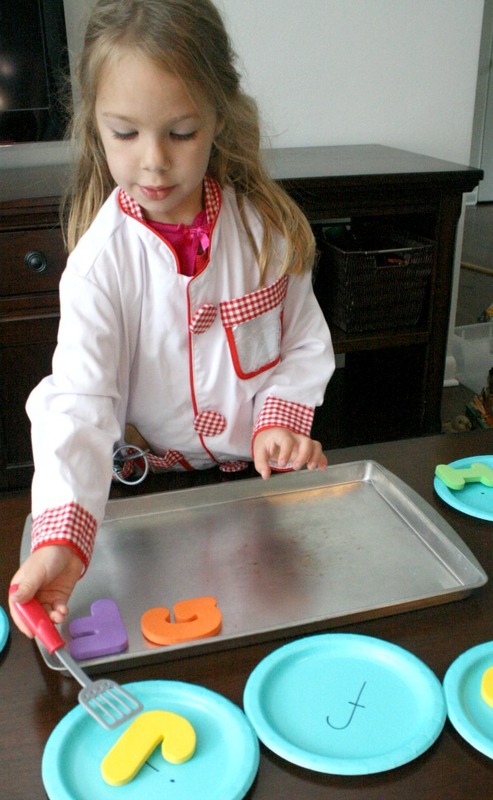 We love the Melissa & Doug Chef Costume. 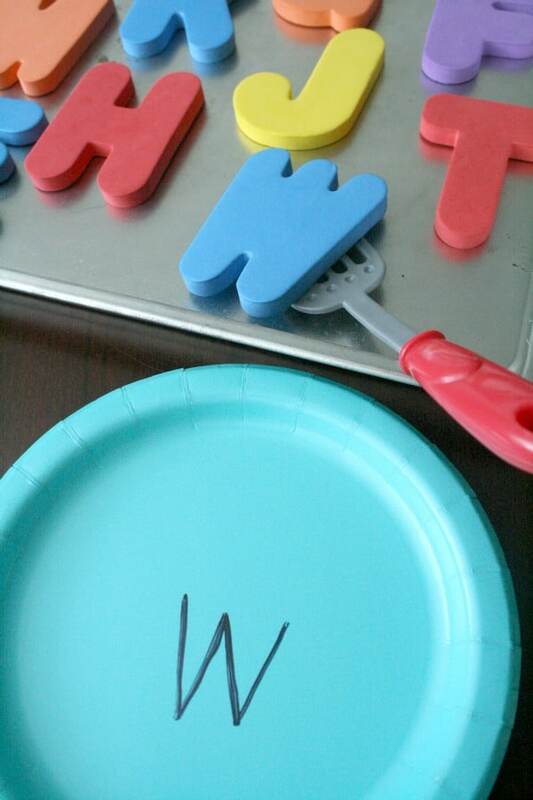 Tinker had so much fun matching the upper and lowercase letters as she served up a whole batch of ABC cookies. When she was done she shared them with all of her baby dolls before baking up another batch. For the second batch she decided to sort the cookies by color. 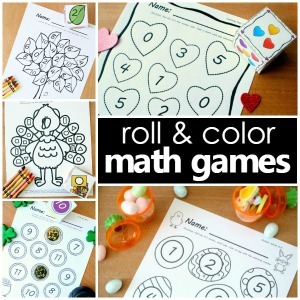 This was self-directed way to practice early math skills. You never know what kids will naturally practice on their own when given the opportunity to engage in pretend play, but it’s almost always meaningful! 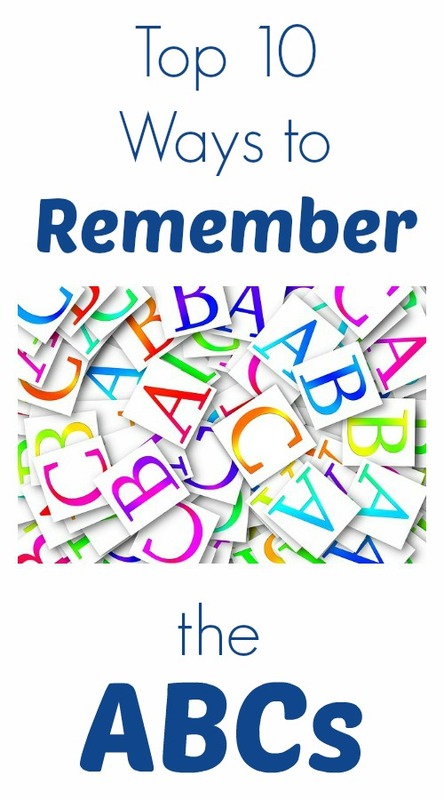 For even more ways to get kids moving while learning the alphabet visit our gross motor alphabet activities collection. 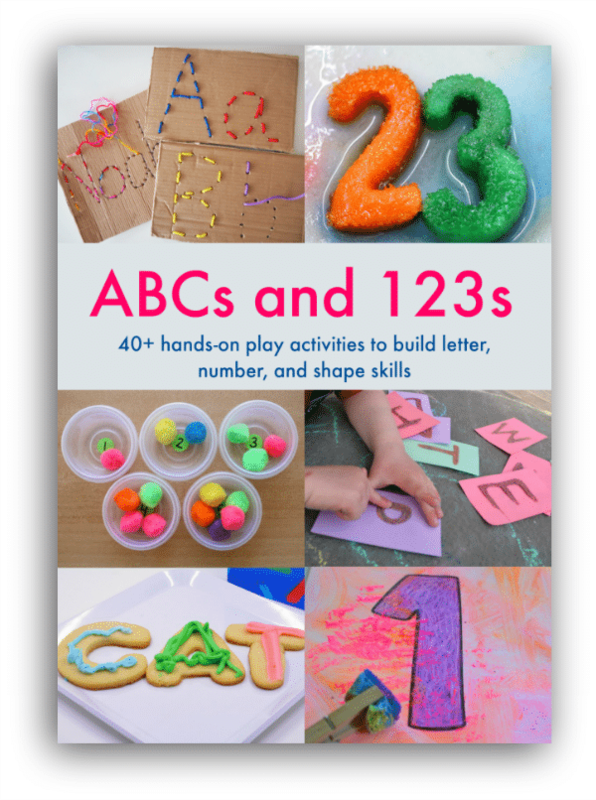 Try these excellent resources for more hands-on alphabet activities. 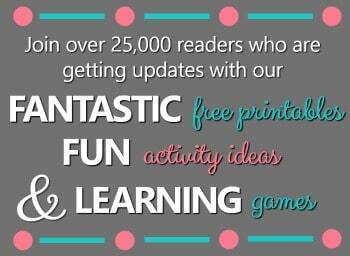 What a wonderful fun idea! My little one loves playing in the kitchen so she would love this.